Maida M. Smith, 87, lifelong resident of Winona County, passed away on Wednesday, August 22, 2018 at Gundersen Medical Center. She was born on March 23, 1931 in Winona to Archie and Hazel (Anderson) Milton. Maida graduated from Winona Senior High in 1949. She married Delbert F. Smith on July 23, 1949 in Witoka at the Witoka Methodist Church. They made their home on the Smith Family Farm in Ridgeway. Maida was a very talented hand embroiderer and quilter. She loved working in her beautiful flower gardens. 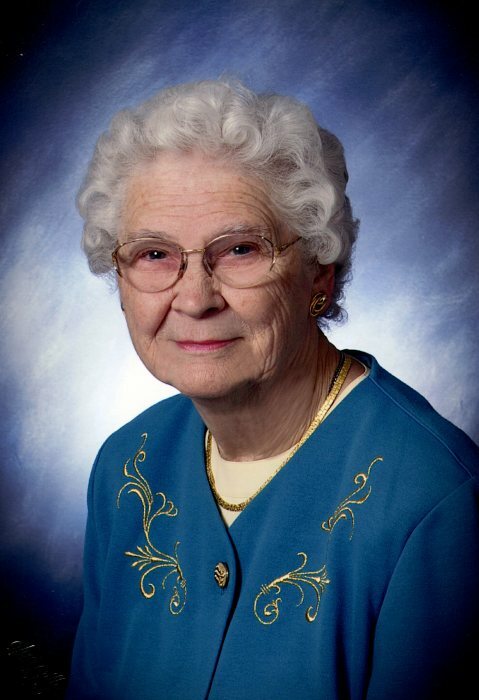 She was a very active member of the Ridgeway United Methodist Church. She was extremely proud of her four daughters, grandchildren and great grandchildren. Maida was preceded in death by her parents; husband Delbert; brother, Charles Milton; sisters Miriam Douglas and Doris Schossow. She will be greatly missed by her daughters Linda (Marv) Oesau (St Charles), Barbara (Butch) Barton (Eyota), Jean (Allen) Kelly (Houston), Joyce (Lyle) Peterson (St Charles); grandchildren Angela (Kelly) Burrows, Amy Oesau, Jeffrey (Bobbie Krusmark) Gaedy, Denise (John) Lorenz, Julie (Tim) Barrett, Kimberly (Dan) Wildfeuer, Christopher Barton, Cale (Meaghan Kazak) Barton, Jeremy (Brenda) Kelly, Corey (Kristin) Kelly, Nicholas Kelly, Kate Peterson, Chad (Carissa) Brommerich, Anna (Paul) McKay, Derek Brommerich, Sam (Katherine) Peterson; 19 great-grandchildren; sister Jane Soppa; and many more relatives and friends. A visitation will be held on Monday, August 27, 2018 from 4 – 7 p.m. at Fawcett Junker Funeral Home, Winona. Funeral Service will be on Tuesday, August 28 at 11:00 a.m. at Ridgeway Methodist Church with visitation starting at 10:00 a.m. Burial will be in Bush Cemetery. Services entrusted to Fawcett Junker Funeral Home, Winona, MN and Fountain City, WI. Words of sympathy or remembrance may be left at www.fawcett-junkerfuneralhome.com.